GameStop is facing a class action lawsuit for allegedly violating California's privacy laws by recording a customer's "personal identification information" during a purchase. 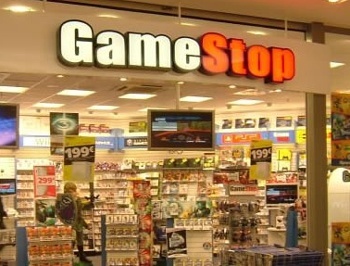 The lawsuit against GameStop was filed in late February by Melissa Arechiga, who said that an employee at a local outlet recorded her name, credit card number and other identifying information during a purchase. According to the suit, the employee requested "personal identification information" from Arechiga without explaining what it would be used for; Arechiga provided the information without question, believing it was necessary to complete the purchase. The employee banged it into the computer, ran the sale through and all was well. But the employee "made no attempt to erase, strikeout, eliminate, or otherwise delete [Arechiga's] personal information from the electronic cash register" after the purchase was completed and that, her lawyer claims, is a violation of a California law that forbids retailers requesting and recording such information as part of a credit card transaction. Because of that, Arechiga filed suit on behalf of everyone in California who had similar information recorded by GameStop over the past year. The suit seeks a penalty of up to $1000 per member of the class, the maximum civil penalty allowed under the law, as well as attorneys' fees and other legal costs and an injunction preventing GameStop from requesting such information in the future. It used to be common practice for some retailers to request that kind of information with every purchase; Radio Shack was notorious for it back in the day. Evolving privacy laws have largely brought such practices to a halt, although not everywhere and not under all circumstances. Yet I can't help thinking that if you're truly uncomfortable handing out such information, perhaps instead of filing a lawsuit you should just say no. A full copy of the lawsuit in PDF format is available here.